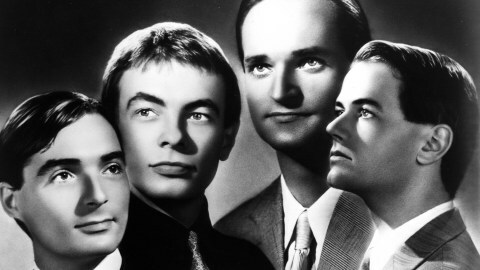 Kraftwerk was a group from Germany in the 70s who dealt heavily with electronic/synthesized music. They were the early pioneers that paved the way for many artists who came along after them. Their style of music was what electronic dance pop music initially sounded like in its early stages. They were among the firsts to heavily create and experiment with this musical art form. Some could even say they were ahead of their time in that field with all the experimentation they did using electronic instruments. The leading songwriters for Kraftwerk were Ralf Hutter and Florian Schneider. They created their music in their studio called Kling Klang out of Dusseldorf, Germany. From listening to Autobahn and the words, this electronic music gave you the feeling of a road journey. At that time, the producer who helped create the earlier sounds of Kraftwerk was Conny Plank. He was quite skilled in his method of combining/blending the sounds and ideas of Kraftwerk. Initially, Autobahn gained relatively decent recognition for the group and made them ‘national stars’. It was definitely the single that placed them on the map. It wasn’t fully widespread or international, but it was a start as the group continued to create and experiment with their music. The album Kraftwerk released after Autobahn in 1975 was called Radio-Activity. This album was the first that attempted to introduce a new style of their sound. It too had a theme about ‘nuclear energy and the radio’ that were related to situations of that time in Germany. Another one of Kraftwerk’s influential recordings released in 1977 was called “Trans-Europe Express.” This recording symbolized that of a ‘train’ and was geared towards ‘European connectivity and train travel.’ Initially, it wasn’t as widely accepted at the time and didn’t do so well commercially but later on became another huge influence in the electronic music scene. In 1981 Kraftwerk released their album called Computer World. It showed the band’s more ‘conceptual approach.’ The theme was geared towards the computer, numbers and it was reflected in their music. It also had a ‘game music’ feel to it. Personally, I liked listening to Kraftwerk’s music. It gave me a look into what early forms of electronic/techno pop music was like and I saw how it was a catalyst that influenced later generations of artists and musicians. Their sound was unique, experimental and innovative. I especially remembered liking the “Trans-Europe Express” single when I heard it years ago. The musical patterns for me were catchy, even though at the time I didn’t understand the meaning of the tune. Kraftwerk definitely engineered and manufactured a style of music that stuck with fans, artists and musicians past and present alike.